Inspired by an Edgar Brant design, this lamp is cast in Bronze and fabricated brass. The lamp base can be made in any wood and can be made to any size. 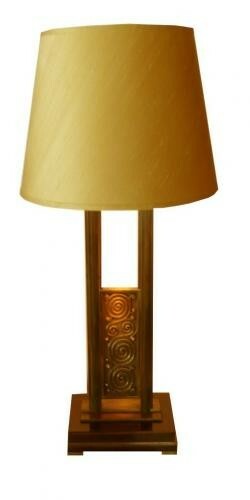 This lamp would also look even more Art Deco in style if made in Nickel.